Nowadays you may be aware of the hot and humid summer season. With the advent of summer days, the first step you do towards achieving peace of mind is buying an air conditioner for your home. Your cooling unit can keep the living space comfortable and pleasant to stay happily with family. It is not merely a luxury cooling device, but also an essential appliance. Like any other large apparatus at home, your air conditioner too requires proper maintenance on a regular basis. If you do not have much time to spend on it, you can avail the air conditioner service provided by well-known companies. The professional experts are the best people to contact when you fail to take better care of your cooling unit. For residents of Australia, it is necessary to maintain their air-conditioning system in a proper manner. If you face any difficulty regarding your cooling system during the night, then also you can call the service station and book your complaint. Apart from that, an air conditioner is one of the causes of sudden electrical hazards that may even lead to fire and destroy your family and property, so it is better to maintain your air conditioner by calling professional service stations. Also, faulty air conditioning systems add to the ever increasing energy bills that are any ways a burden to us every month. Thus, air conditioner service is the smartest solution to increase the efficiency of your cooling system and to improve comfort. 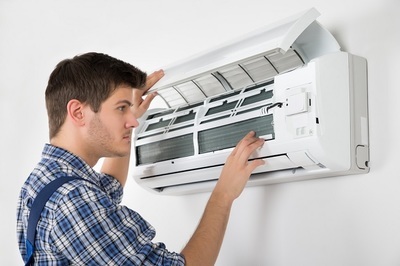 Which are the parts of an air conditioner that need to be maintained? Filters – One of the most important parts in an air conditioner is its filters which require proper maintenance. If they are dirty and clogged, then they can create a blockage for the normal flow of air. In such cases, you can replace the filter and save the energy consumption level. Also these clogged filters can be cleaned by the professional air conditioner service mechanics. Coil fins – The aluminum fins found in the air conditioner coils can block the air flow like the clogged, dirty air conditioner filters. Hence, it is absolutely necessary to keep these coil fins in good condition or to replace them if required. Coils – The dirty evaporator and condenser coils of an air conditioner reduce its capacity for heat absorption. To avoid such unfavorable circumstances, these coils need to be checked and cleaned as required. Every machine has a certain capacity and power to work. Your air conditioner maintenance services will no doubt expand the lifespan of your equipment. Beside these, it requires certain other air conditioner service to work without any issue. Their services include several things like, installation, cleaning and maintenance, repairing and wiring of your air conditioner. So it is better to hire these professional air conditioner services for regular maintenance purposes. 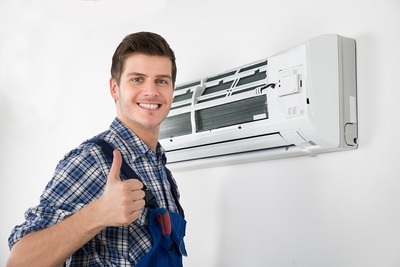 Why to rely on well-established company for air conditioner service? Now you can increase the efficiency of your air conditioner effortlessly using air conditioner service. You can reach them at anytime for any emergency issue and they will repair and clean your air conditioner timely.